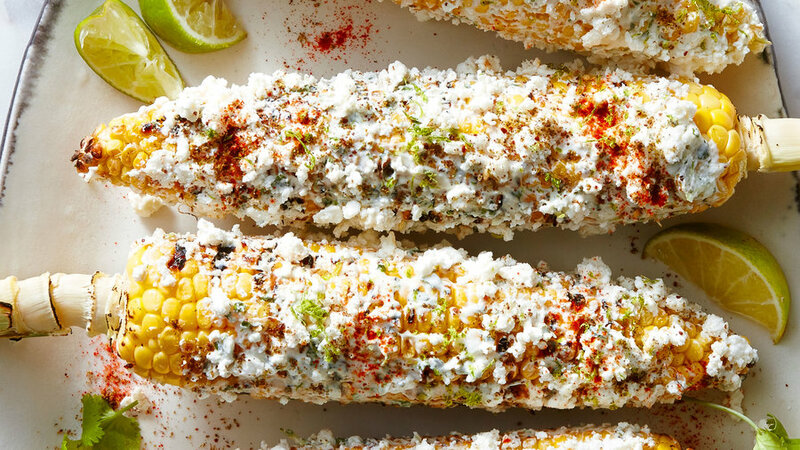 We reimagined Mexican street corn with Israeli flavors, seasoning the grilled ears with tangy yogurt, salty feta, herbs, citrus, and a little heat. 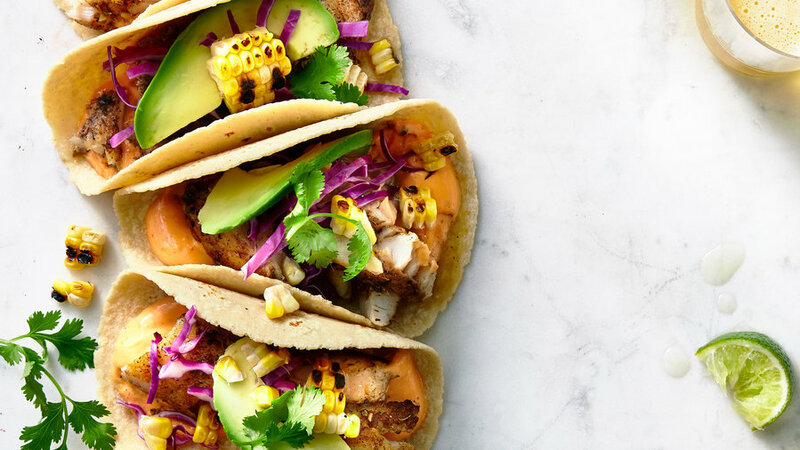 This crowd-pleaser has everything you want in a fish taco, including a spicy mayo and fresh add-ins like avocado and lightly charred corn. How to improve on cornbread? 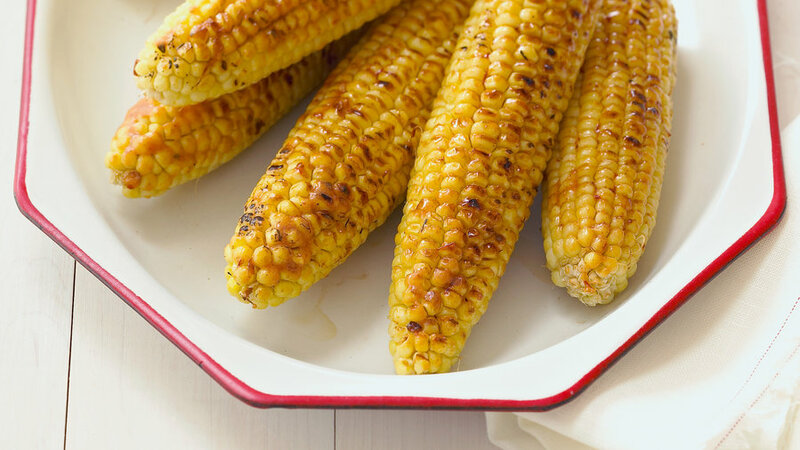 Make it snack-size, crisp at the edges and tender inside, with a delicate crunch from corn. Then watch it disappear at brunch or alongside ribs. 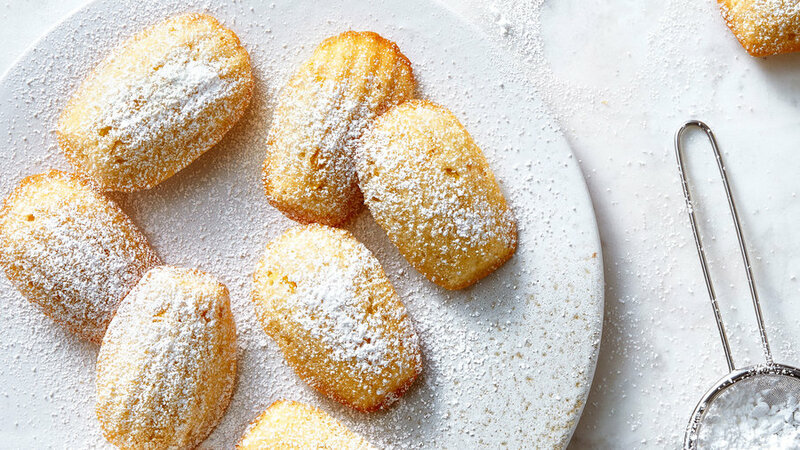 You’ll need a madeleine or mini-muffin pan. 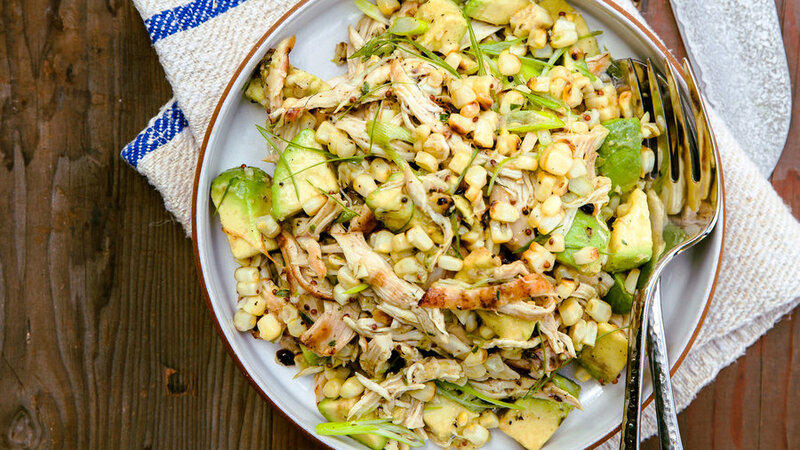 After cooking chicken cutlets, throw corn on the still-hot grill to use in this unusually, delicious salad. 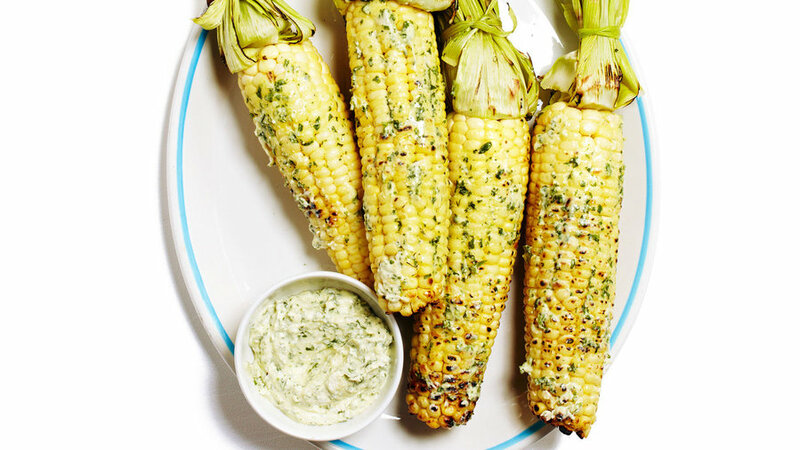 Sweet corn only gets better smeared with these easy, flavorful toppings. Each makes enough for 4 ears of corn. 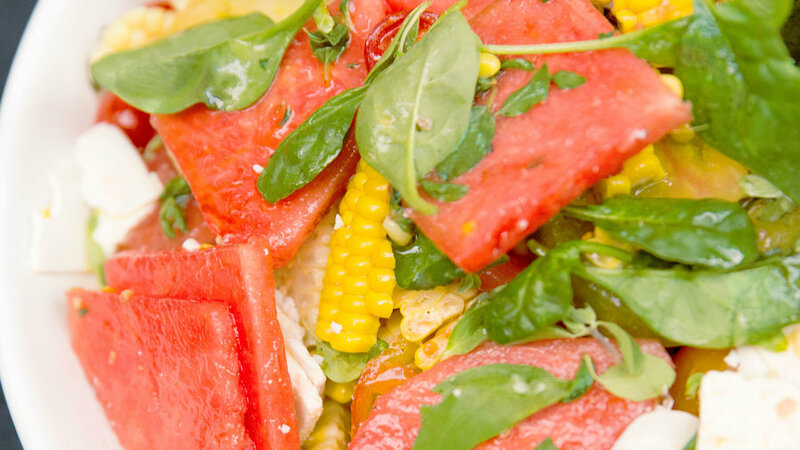 This savory-sweet summer salad is a perfect example of the saying, "If it grows together, it goes together." In this vegetable-centric (and gluten-free) dish, zucchini takes the place of the usual pasta. 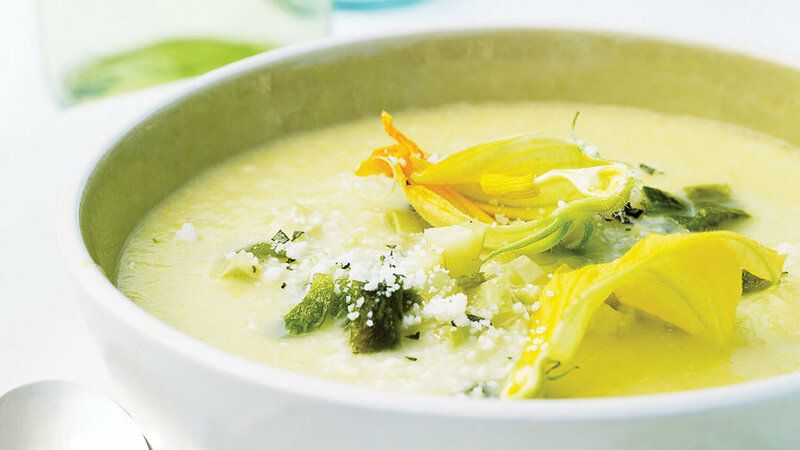 You can use green or yellow squash, or both. A handheld slicer makes quick work of cutting the squash. 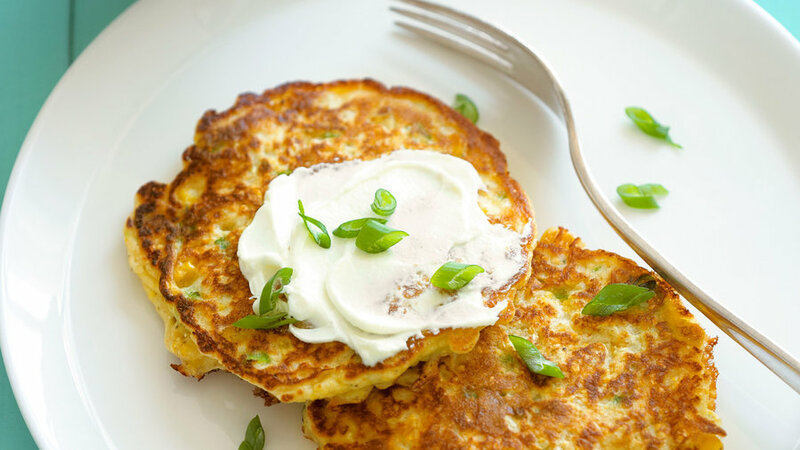 This lightened version of a seasonal favorite is still satisfyingly stuffed with cheese and corn, but has the barest sheath of batter. 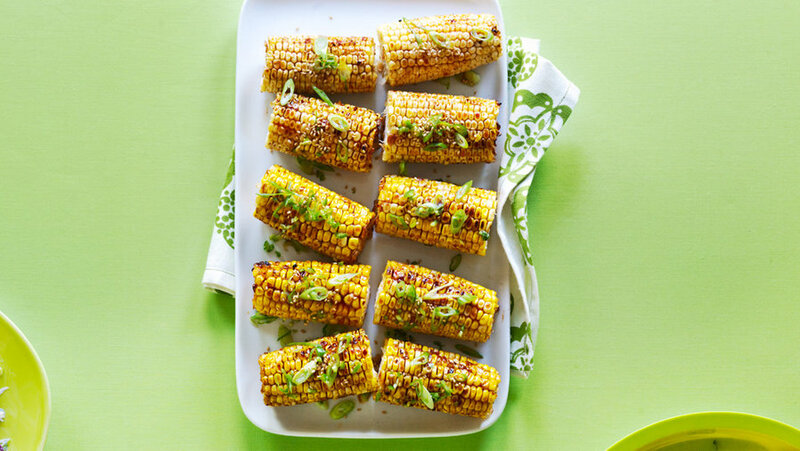 Skip the usual butter and try this sweet and spicy Asian-inspired grilled corn recipe. 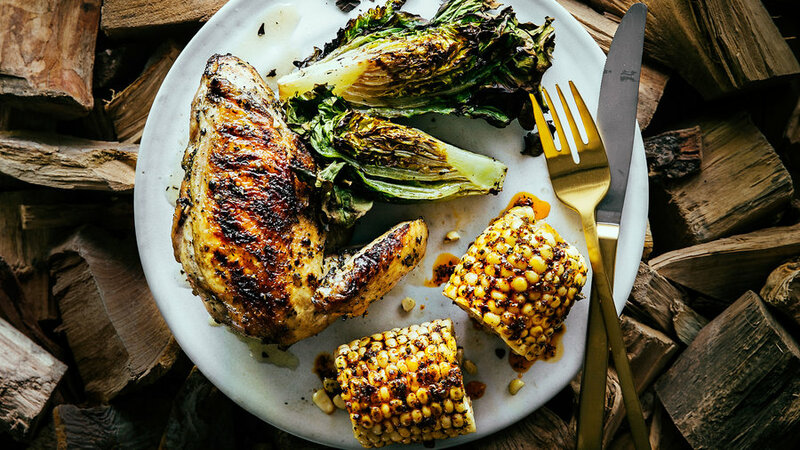 Russell Moore, chef and owner at Camino restaurant in Oakland, gave us this technique for grilling chicken breast—and it’s the juiciest version we’ve ever had, protected from overcooking by the bones and skin. “Don’t cook it too fast,” he adds. “You don’t want it burnt outside and raw inside.” We also like his clever way of producing an entire dinner over one fire, grilling everything in sequence. At Camino, he uses cherry and almond wood, but for the home griller, he suggests a mix of mesquite hardwood charcoal and either fruitwood or hardwood chunks—and lighting more charcoal partway through cooking. 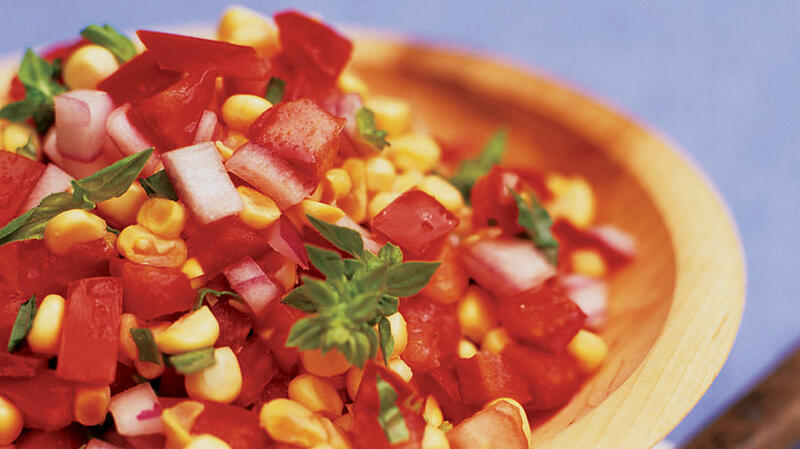 The corn relish bursts with the flavors of summer and acts as the perfect topping for grilled fish. From Colorado chef Mark Fischer, here’s a combo that’s especially good with Latin- or Southwestern-flavored grilled meat. Offer any leftover butter to spread on warm bread. 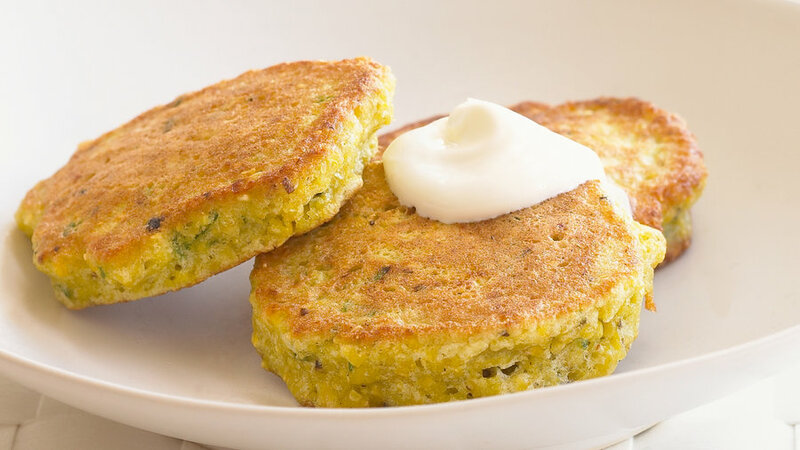 Try these corn cakes as a summertime vegetarian main course, served with a salad--or make them smaller, for an appetizer. In the height of summer, you won't find a better side dish for ribs than this deceptively simple combination of peak-season produce. Try bringing it to a party too. 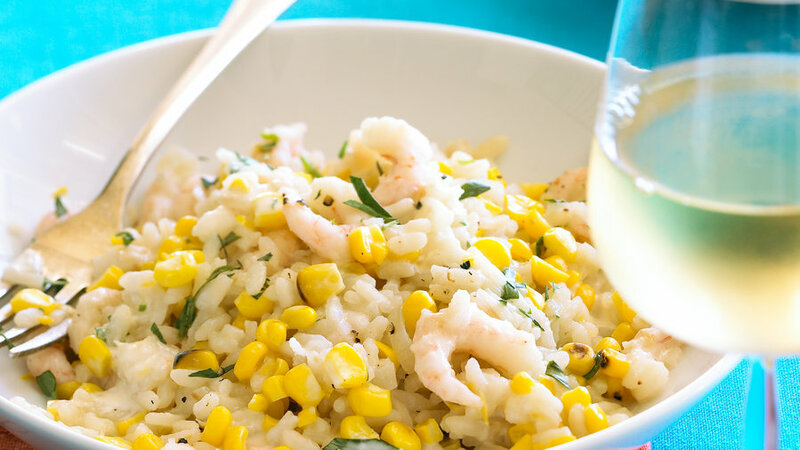 Sweet bay shrimp meld perfectly with grilled corn and creamy risotto. 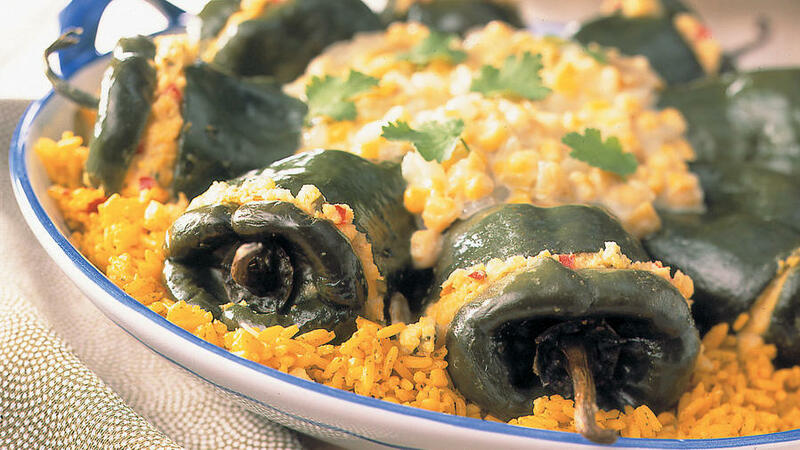 Serve with a crisp Chardonnay. 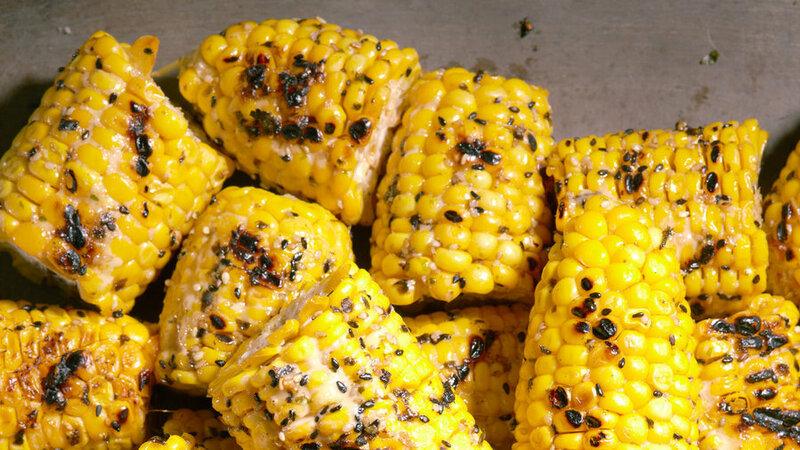 Spicy, sweet, and buttery, corn from the barbecue doesn’t get better than this. 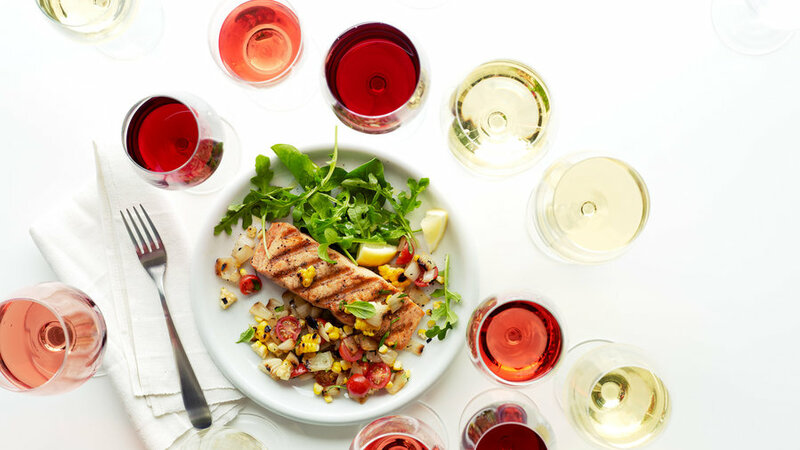 San Francisco chef Jamie Lauren highlights trout's subtle sweetness by pairing it with fresh, sweet corn. Although this dish is nice enough for special occasions, it can be prepared in 40 minutes, making it perfect for weeknights too. 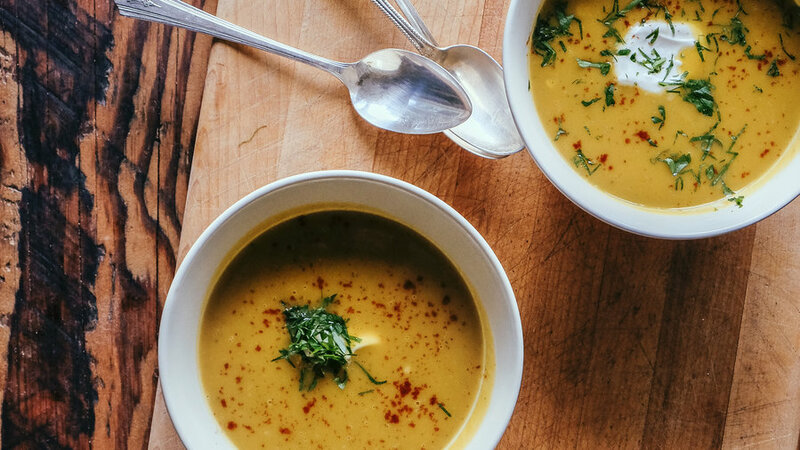 Stop at the farmer’s market or harvest from your garden for this peak-of-summer puréed soup. It’s delicious hot or cold. 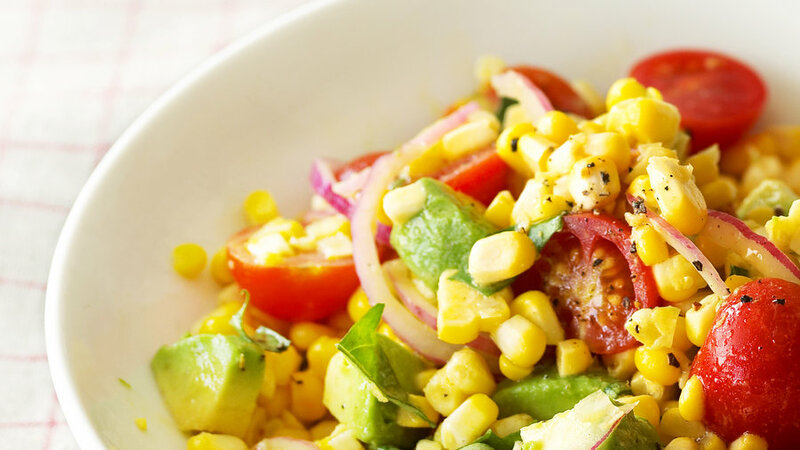 When sweet corn and juicy tomatoes are at their best, don’t even cook the corn. Just stir them in a bowl with 5 simple seasonings. 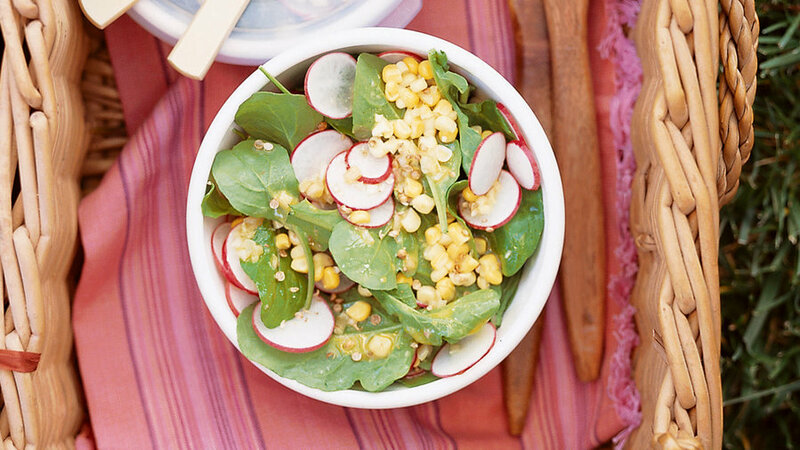 Barely cooked corn is paired with crisp radishes, greens, and a zesty shallot-Dijon dressing. 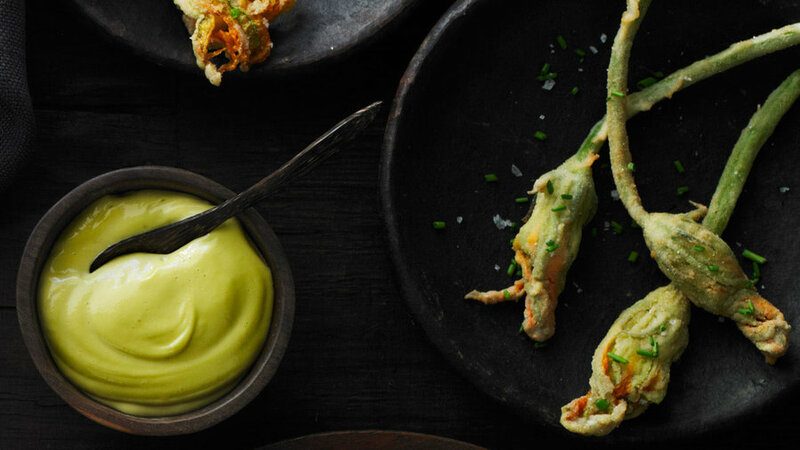 Tote it on a picnic, or serve it at a backyard barbecue. Stuff fresh poblano chiles with corn, jalapeño, and jack cheese polenta. 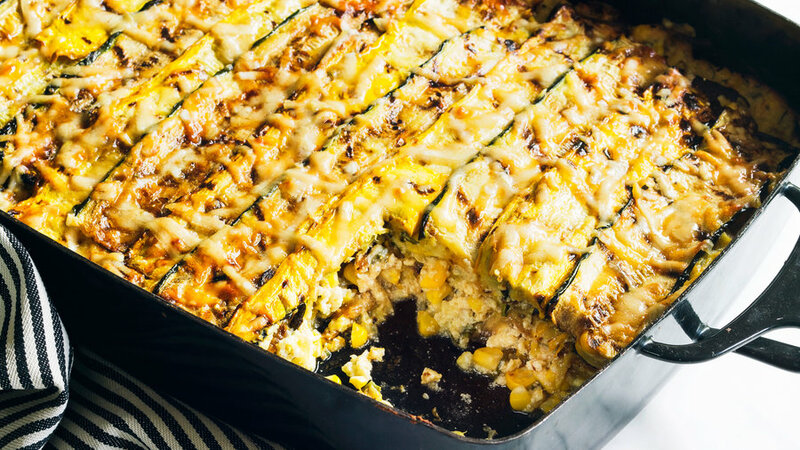 Bake, then serve with a creamy corn and cheese sauce. 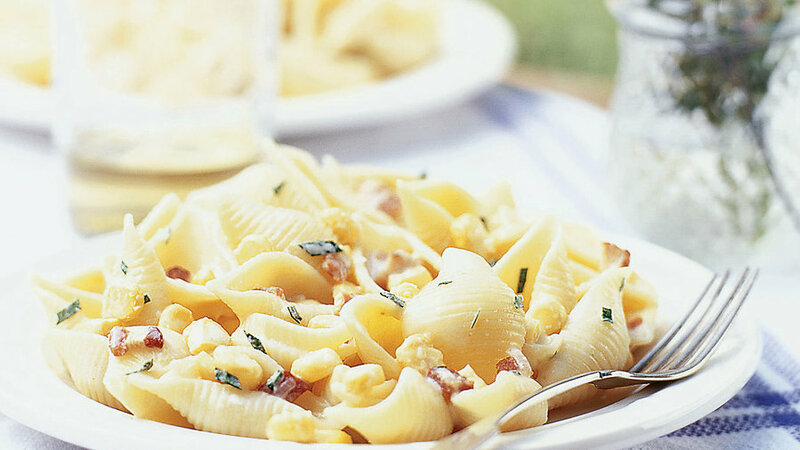 While the pasta boils, brown bacon and make a creamy corn and wine sauce with lots of fresh tarragon. 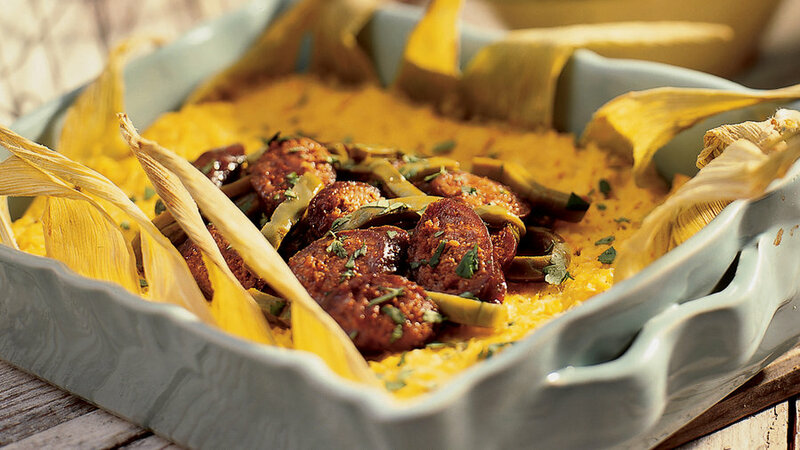 Here’s a fresh take on the classic Western casserole, with a base of corn, cheese, and chiles, and crispy chorizo on top. Fold corn kernels into a foamy batter, then sauté cakes in a little oil until golden. 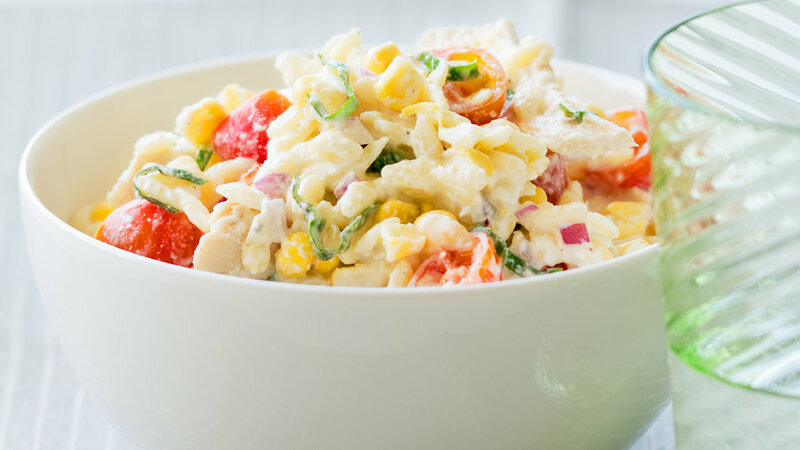 For this cool main-dish salad, stir orzo with a ricotta-lemon dressing, cooked chicken, and crisp raw corn. 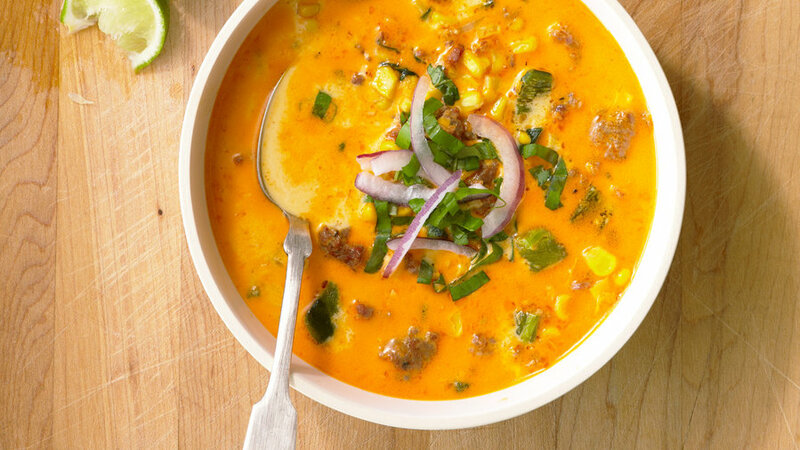 This creamy soup is all about really good corn. 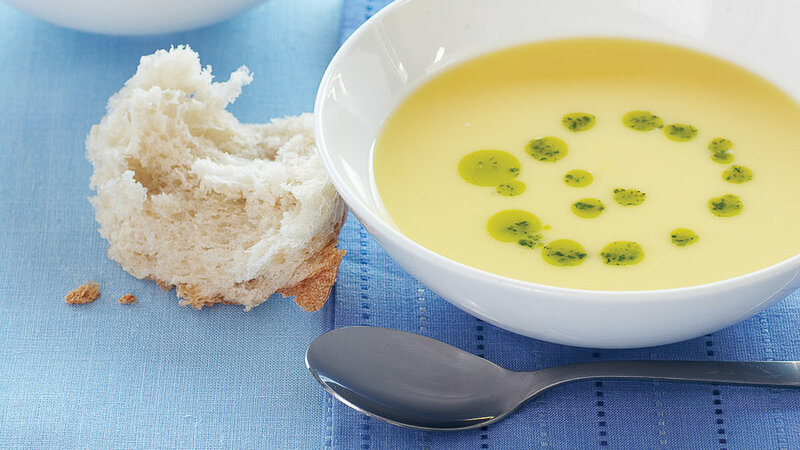 Just purée cooked corn, chill, and add a drizzle of basil oil.